University of Dallas received a B.
Washington Monthly's ranking of 184 out of 224 of Affordable Elite Colleges - Overall Rank was a major contributor to this grade. 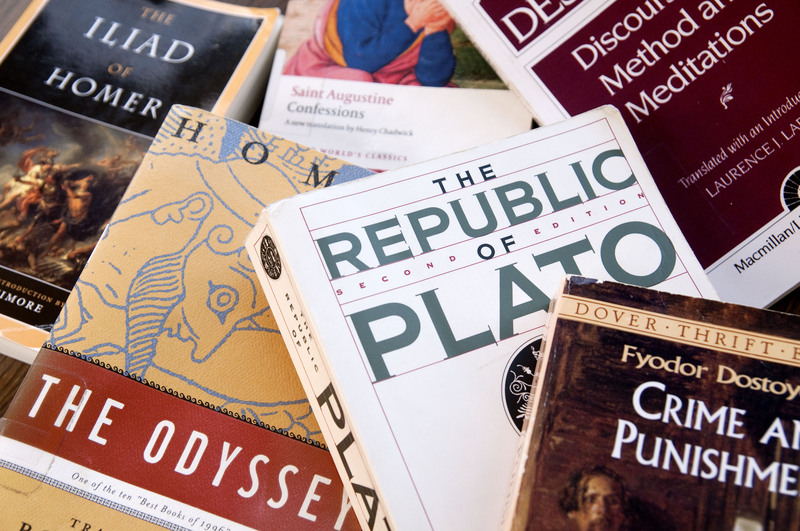 "You eat, drink, and sleep Western culture" at the University of Dallas, a small, Catholic liberal arts school with a rigorous and demanding core curriculum stressing classical humanities. The academically serious students here rave about the intellectual push they get from their teachers, and prof accessibility is high at UD." 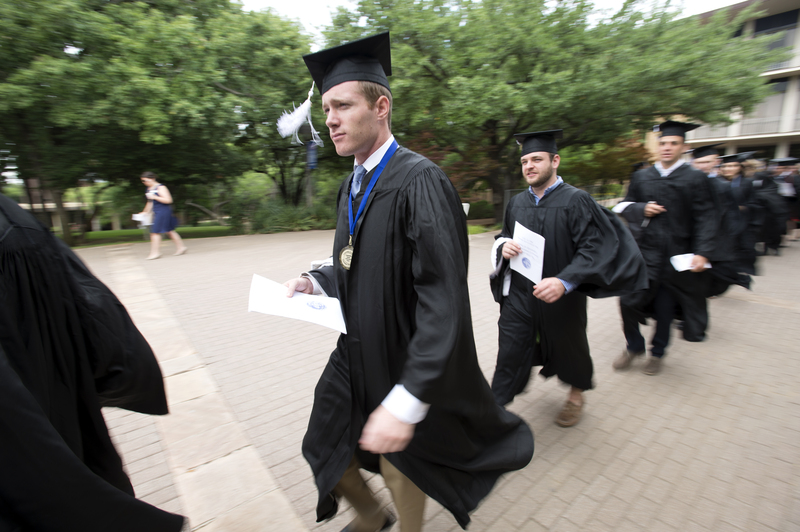 What are the top 3 reasons someone should attend University of Dallas? 1) To focus on becoming a better student. 2) To become excellent, and to better yourself for your future career. 3) To join a community and make new friends and experiences. What is a typical University of Dallas student like? Describe the type of person that should attend University of Dallas. A University of Dallas student is dedicated to their studies, but also enjoys to be social. We dedicate ourselves to be excellent. Remains proudly dedicated to fostering students in the study of great deeds and works of Western civilization. The University of Dallas stands out for its combination of academic rigor and traditional Catholic sensibilities. "UD admissions officers place significant emphasis on the "fit" part of the admissions process." The University of Dallas is a private, Catholic, co-educational liberal arts university located in Irving, Texas. UD is known for its rigorous Core curriculum, which encompasses courses in history, literature, philosophy, theology, politics, economics, mathematics, science, foreign language and fine arts. All students are required to complete the Core. An 11:1 faculty-to-student ratio allows for close, personal attention from our faculty, who teach all the courses -- not teaching assistants. UD is enthusiastically Catholic, in both the intellectual and spiritual traditions. Sacraments are readily available to students, with Mass being celebrated twice daily most weekdays. Confession, Eucharistic Adoration, retreats, prayer groups and other spiritual opportunities are offered frequently. Campus Ministry, along with student clubs like Best Buddies and Crusaders for Life, provide many opportunities for service. 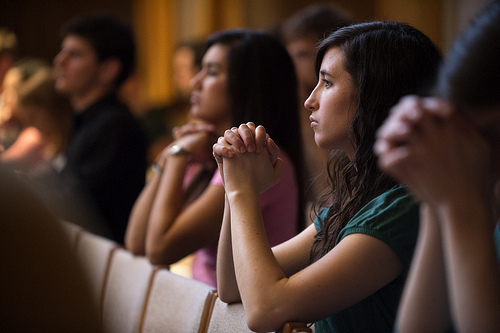 Over 80% of the undergraduate student body is Catholic, but all are welcome in the common search for truth and understanding. The majority of UD students spend a semester studying on the university's campus in Rome, Italy. The Rome courses are all taught by UD professors, and the program is exclusively for UD students. The Core comes to life during the Rome Program, where students get to see up-close and firsthand the very works of art and history which they are studying in the classroom. 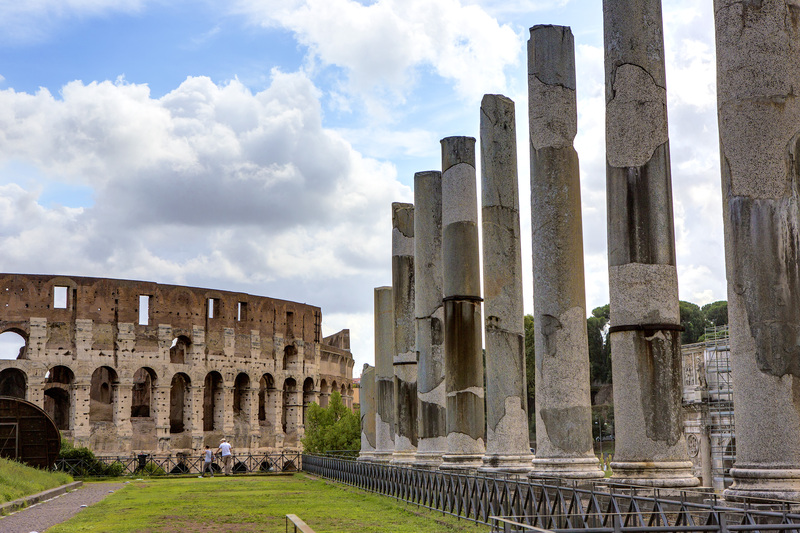 Faculty lead a 10-day trip to Greece, as well as overnight trips around Italy. Students are encouraged to travel independently on weekends and during their 10-day semester break. UD is home to some unique campus traditions, such as Groundhog, Lazy Faire, Mallapalooza and TGIT (Thank Goodness It's Thursday). With a small undergraduate population of about 1,350, the campus community is friendly and close-knit. Our students also share a close bond with the alumni, who have attained success in wide-ranging fields across the globe. The university's Irving campus is located in the heart of the Dallas-Fort Worth metroplex, one of the most vibrant areas in the country. The UD station on the Dallas Area Rapid Transit (DART) allows for easy, safe and convenient access to the art, culture and entertainment of the cities. The University of Dallas is dedicated to the pursuit of wisdom, of truth, and of virtue as the proper and primary ends of education. The University seeks to educate its students so they may develop the intellectual and moral virtues, prepare themselves for life and work in a problematic and changing world, and become leaders able to act responsibly for their own good and for the good of their family, community, country, and church. 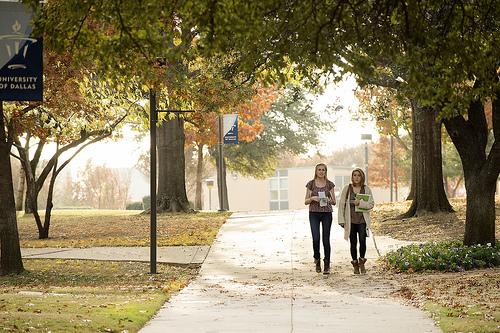 The University understands human nature to be spiritual and physical, rational and free. It is guided by principles of learning that acknowledge transcendent standards of truth and excellence that are themselves the object of search in an education. The University is especially dedicated to the pursuit of liberal education in both its undergraduate and graduate programs. In its liberal arts programs the University is committed to the recovery and renewal of the Western heritage of liberal education. 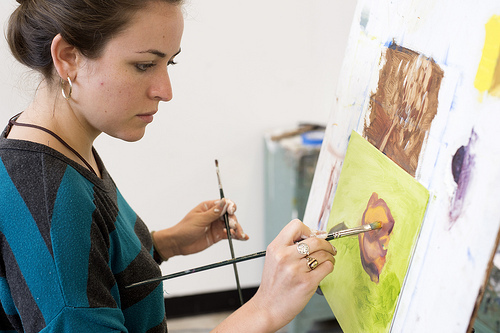 The University is equally committed to providing professional programs at the graduate level. 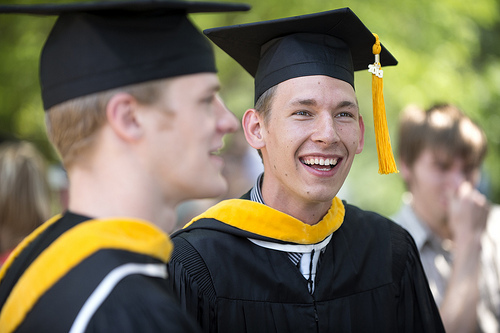 Its professional programs, in a common spirit with the University’s liberal arts programs, are dedicated to reflecting critically upon the ends governing one’s own profession, to fostering principled, moral judgment, and to providing the knowledge and skills requisite for professional excellence. Whether professional or liberal, the University is “convinced of the priority of the ethical over the technical, of the primacy of persons over things, of the superiority of the spirit over matter.”1 The University seeks to offer those graduate and undergraduate programs that will address important needs of society, and that can be offered in a manner consistent with the University’s primary institutional commitments. The University as a whole is shaped by the long tradition of Catholic learning and acknowledges its commitment to the Catholic Church and its teaching. The University is dedicated to the recovery of the Christian intellectual tradition, and to the renewal of Catholic theology in fidelity to the Church and in constructive dialogue with the modern world. It seeks to maintain the dialogue of faith and reason in its curriculum and programs without violating the proper autonomy of each of the arts and sciences. The University is open to faculty and students of all denominations, and it supports their academic and religious freedom. It thus seeks to provide an academic and collegial community which will help students acquire a mature understanding of their faith, develop their spiritual lives, and prepare themselves for their calling as men and women of faith in the world. 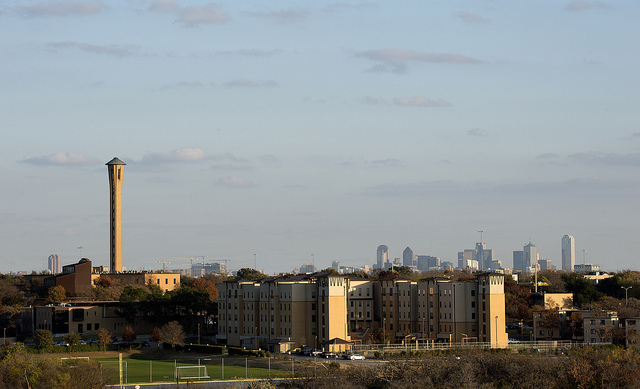 What are the top 3 things that students do for fun at University of Dallas? Campus housing is available for undergraduates. Freshmen required to live on campus, unless living with a parent. Freshmen are allowed to have cars. Career And Alumni Services: Office of Personal and Career Development offers students assistance every step of the way. OPCD helps students with choosing a major, seeking and applying for internships, building resumes, writing cover letters, conducting mock interviews, applying to graduate and professional schools and much more. 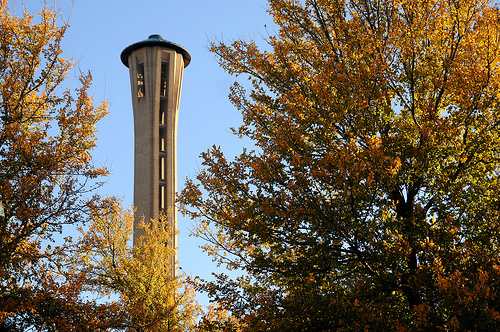 The small, unique community at UD leads to a strong and enthusiastic alumni base. UD graduates have found success in wide-ranging fields, from healthcare to art to law to politics to education and just about everything any between. Seven UD graduates have even gone on to become bishops! 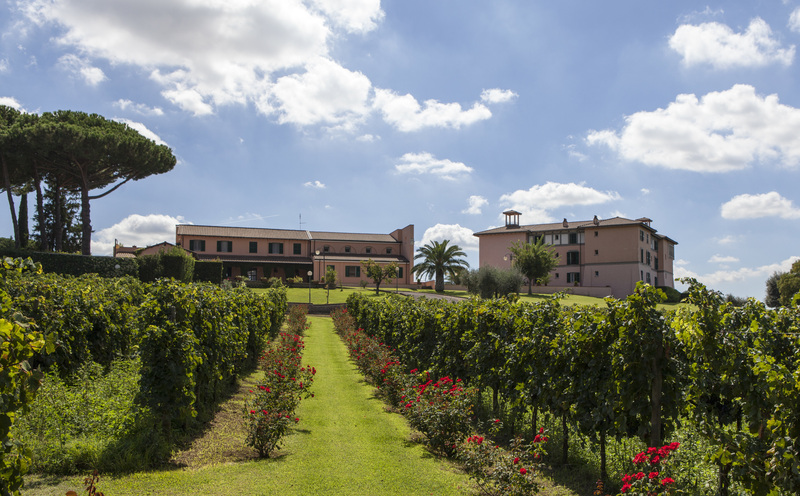 Study Abroad: Most students spend a semester studying on UD's campus in Rome, Italy. Courses are UD Core courses, all taught by UD faculty, with fellow UD students. Courses are all as academically challenging as those offered on the Irving campus, and are designed to fit into students' four-year graduation schedules. At least one class a week is held in the city, and students are encouraged to use their evenings and weekends to explore Rome. Faculty lead trips to Greece and various parts of Italy, and students have a ten-day semester break in which to travel Europe independently. 72% of students graduated in the top quarter of their class. 53% of students graduated in the top tenth of their class. The average student pays $27,841 for tuition, fees, and other expenses, after grants and scholarships. Total stated tuition is $30,850, in-state and on-campus, before financial aid. Learn more about financial aid at http://www.udallas.edu/offices/finaid/index.html. Estimate the net price for you at http://www.udallas.edu/admissions/calculator.html. 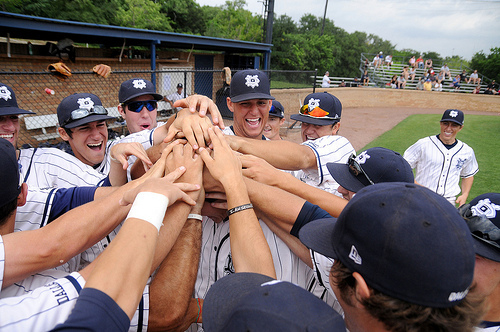 University of Dallas participates in the NCAA Division III for college athletics. Want more info about University of Dallas? Get free advice from education experts and Noodle community members. If I am Usa citizen but live abroad and my parents are not Usa citizen do I apply as an American or as an International student ?